Sydney Wolfington is in her first year coaching for Philly Blast and has played for Blast since 2012. 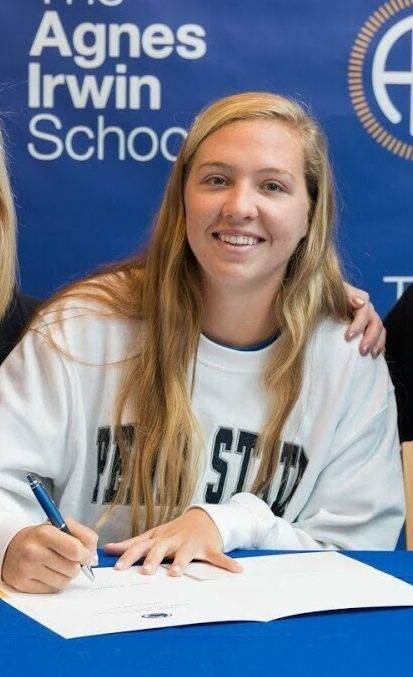 She is going to be a freshman at Penn State in the fall playing attack. In High School, Sydney played for Agnes Irwin and won three PAISAA Championships and is a three time Inter Ac Champ. Sydney earned 1st Team All Inter Ac in 2018 and 2nd Team All Inter Ac in 2017. Sydney was also the field hockey and basketball captain her senior year and received the 2018 Inter-Ac Senior Girls’ Athletic Director Award, along with the Tri-Sport Varsity Athlete Award in 2016, 2017, 2018. She was EPOCH/US Lacrosse HS Girls Mid-Atlantic Player of the Week in 2017 and played on the Philadelphia Girls Highlight Under Armour Team in 2017. As a freshman Sydney made the Philadelphia National Tournament Team and Under Armour Uncommitted 2018 Team.